From artdaily.com comes news of an open call for entries for a sculpture of San Francisco city supervisor Harvey Milk, who with that city's mayor, George Moscone, was assassinated on November 27, 1978. Milk was the first openly gay elected official in San Francisco history, and his murder as much as his election has made him into an icon of the San Francisco gay community. That said, the call for entries states that the sculpture is to be a realistic bronze in the manner of the bronzes of past San Francisco mayors and other city personages that have long been displayed in San Francisco City Hall. 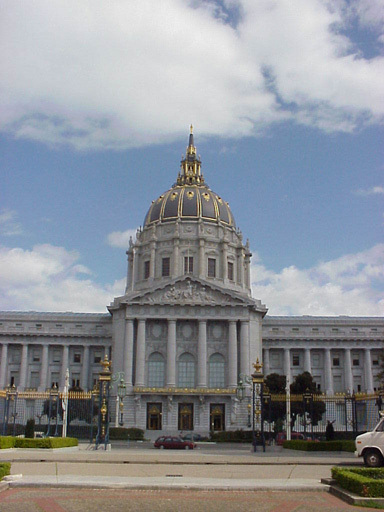 Go here (.pdf) for a virtual tour of San Francisco City Hall, including images of the bronze busts on display. 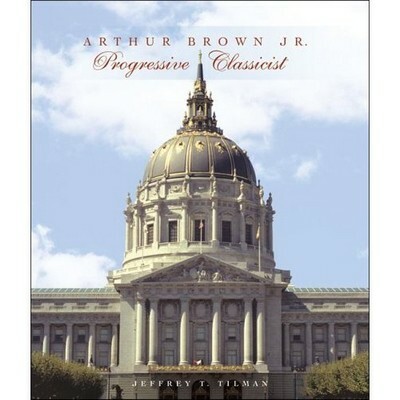 Anyway, the call for entries put me in mind of what is arguably the most important architecture book of 2006 thus far, Arthur Brown Jr.: Progressive Classicist, by Jeffrey A. Tilman. (The book was published by Norton in conjunction with ICA&CA.) 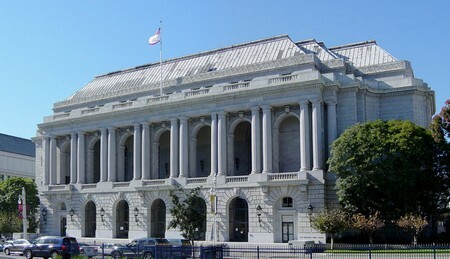 Brown was the architect of San Francisco City Hall. 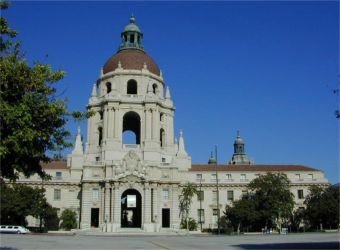 The City Hall is part of Brown's Civic Center complex, the most impressive thing of its kind in the country. 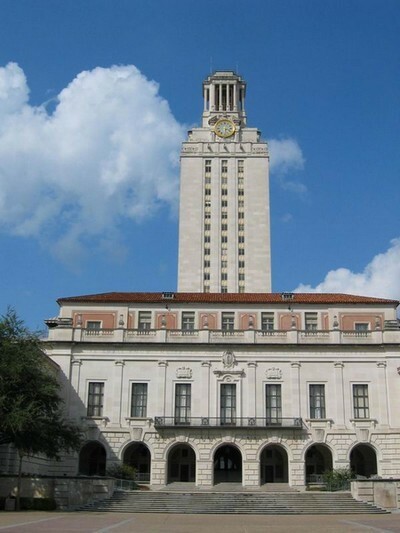 Indeed, was there a better 20th-century architect in America? Even when he went "moderne," there was a spirit to his buildings that made his works in that vein the equal of Paul Cret's. I think Brown showed an inventiveness throughout his career that can put one in mind of Goodhue or Lutyens. And for your flat-out grand Beaux-Arts--wow. Overall, his oeuvre recapitulates the course of American design for the first fifty years of the century with an exquisite refinement and taste. Brown attended the Ecole des Beaux-Arts right at the turn of the century. 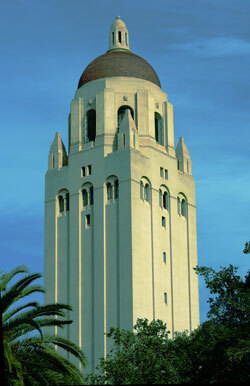 Back in the Bay Area, Brown (who had attended the University of California at Berkeley) formed a partnership with John Bakewell Jr. Bakewell and Brown had both studied at Berkeley under Bernard Maybeck. Brown attended the Ecole des Beaux-Arts at the same time as Paul Cret. Bertram Goodhue arrived on the scene around the same time, though he never attended the Ecole. I will always think of these architects together, as the ones who led America into the 20th century. Forty-five years ago, San Francisco began building a civic center, which has given trouble ever since. This particular center, placed near the downtown and intended to pull the downtown toward it, has of course repelled vitality and gathered around itself instead the blight that typically surrounds these dead and artificial places. The center includes, among the other arbitrary objects in its parks, the opera house, the city hall, the public library and various municipal offices. Now, considering the opera house and the library as chessmen, how could they have best helped the city? Each would have been used, separately, in close conjunction with high-intensity downtown offices and shops. This, and the secondary diversity they would help anchor, would also have been a more congenial environment for either of these two buildings themselves. The opera, as it is, stands related to nothing, enjoying the irrelevant convenience of its nearest neighboring facility, the Civil Service Employment waiting room at the back of City Hall. And the library, as it is, is the leaning wall of Skid Row. San Franciscans, how is it now? How much of what Jacobs wrote still resonated 35 years later? You can see what she means. David Lowe, of whom it may be said that no man more fully embraces the Beaux-Arts, said some similar things about the impact on downtown Chicago of Daniel Burnham's 1909 city plan--said that it was why South Michigan Avenue, by day the most gorgeous phalanx of Beaux-Arts skyscrapers in America, is, by night, wretchedly barren of life. It's true that American designers who loved the French forms combined them with an Anglo-American morality that disdained the commercial intrusion. Today's topic for discussion: The tragedy of American cities is that their best architecture has too often been divorced from their best urbanism. However that may be, Tilman's book on Brown is a must-have. It is beautifully illustrated with photos (including a generous section of color photos), drawings, and plans; is extremely well written; has a complete checklist of Brown's buildings; and has the requisite thorough notes, bibliography, and index. Such a monograph on Brown was long overdue and now that it's here and is so good it should do a lot to secure Brown's place in the pantheon of American architects. Tom Wolfe offers a an amusing reverie on how much the San Francisco City Hall workers loved working in Brown's masterpiece in Wolfe's "Mau-Mauing the Flak Catchers"
I remember reading the Kunstler interview with Jacobs and postively enjoying the way Jacobs refused to get swept up in Kunstler's enthusiasm for the City Beautiful movement! And although I don't recall specific words of praise for Grand Central Terminal (aside from a positive mention of Vanderbilt Avenue), one imagines that Jacobs was probably a very big fan of this magnificent Beaux Art structure -- its density, complexity and integration into the surrounding city. So it seems Beaux Arts architects could, at least occassionally, do the "right thing" as far as Jacobs was concerned. Personally speaking, here are some other Beaux Arts buildings (or Beaux Arts inspired buildings) in Manhattan that seem to me to work rather well urbanisitically (are not overly pompous or anti-commercial): the Lyceum Theater, the South Street (?) Ferry Building, the Helen Hayes Theater (demolished), the McKim Mead and White Tiffany Building (on 37th? St.), the New York Yacht Club, the Municipal Building, the New York Central Building, etc. And, of course, there are also some aloof, anti-commercial Beaux Arts buildings that have a fairly good reason for being aloof or anti-commerical and wind-up, for one reason or another (e.g., not being set back too far from the street), working well urbanistically anyway (e.g., the Customs House, the Metropolitan Museum of Art, etc.). Wonderful photoessay, Francis. 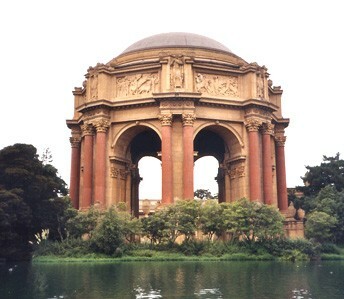 One thing the ICA&CA might consider is assembling, with the help of its friends and supporters, a directory of "Classical Monuments of the 20th Century." It might start as a bare-bones list, and then if anyone is moved to write short notes or essays about specific buildings, it could grow into a larger document. It could be a useful resource -- how many stupendous works go virtually unknown because they aren't celebrated in the architectural textbooks? Most of these are late Beaux Arts designs. I'm especially interested in designs made after the early 1930s, when the International Style began its ascendency. That's when the choices (and conflicts) available to designers and their clients began to resemble our contemporary situation. "It has seemed to the authors that the traditions of ancient Greece and Rome and of Eighteenth Century France are in no wise applicable in designing a building destined to be the seat of Government of a great western commonwealth. So, while the architectural style employed may, roughly, be called "Classic", it makes no pretense of belonging to any period of the past. 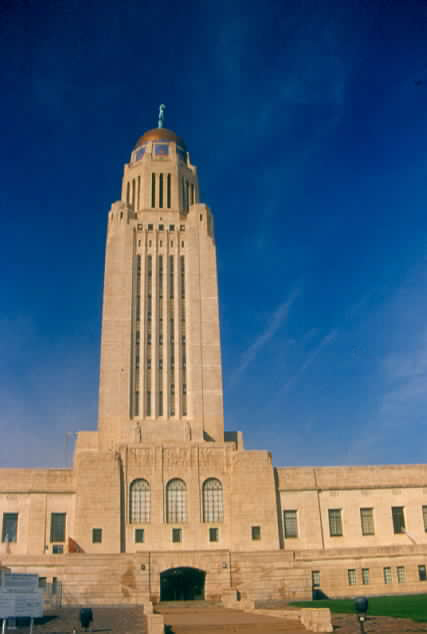 Its authors have striven to present something worthy of the high uses to which the building is to be devoted, an index to that which is within, a State Capitol of the Here and Now, and naught else." About your topic of discussion: I don't think it's the best architecture that's necessarily been divorced from the best urbanism -- but then I love relatively modest storefronts and rowhouses. It may be more accurate to say the grandest, most monumental and elaborate architecture is divorced from the best urbanism. You're on to something when you say morality played a role -- a desire to maintain the purity of temple forms free from profane commerce. The solution for future designers entails more than just proximity. A more cooperative, integrated and welcoming attitude is called for. I was in San Francisco this summer and comes only with good things.